Daniel George is proud to offer a collection of ready made suits and tuxedos at a remarkable value. 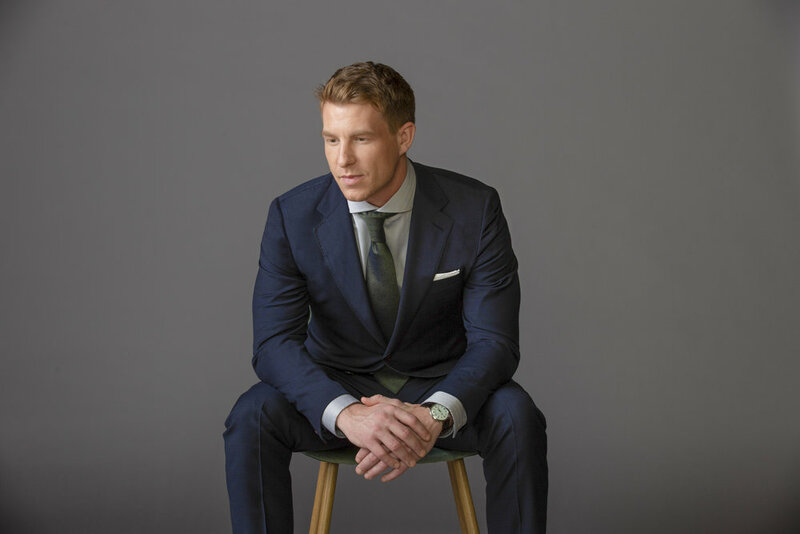 The Daniel George ready made suits & tuxedos are “London Cut”—designed in the style of our tried & true custom garments. Each garment features a higher armhole, trim silhouette, soft natural shoulder, side vents, premium buttons, and hand finishing, including pic stitching on all seams. Soft, natural shoulder and welt breast pocket on all of our ready made suits and tuxedos. Classic notch lapel and hand-sewn Milanese buttonhole on all suits. Ticket pocket available on our Blue Plaid Suit and Admiral Blue Special Occasion Suit. Flattering cutaway jacket opening on all garments. Brown horn buttons on all of our ready made suits and grosgrain covered buttons on tuxedos. Hand-sewn pic stitching on all suits.